Michelle Chaplow is an award winning British hotel photographer based in Andalucía, Southern Spain with 25 years experience in the field and an enviable collection of published works, including two books. Luxury hotel photography is her specialist field. Michelle is a member of the Royal Photographic Society of Great Britain, an Associate Photographer for The Most Famous Hotels of the World and has studied photography at Seville University. This quotation by Seneca is certainly true for Michelle who has had the privilege and pleasure of photographing hotels in Asia, Africa, Europe, Australia and America – visiting over 60 countries along the way. Michelle firmly believes that when you love what you do life′s journey becomes intrinsically fascinating. 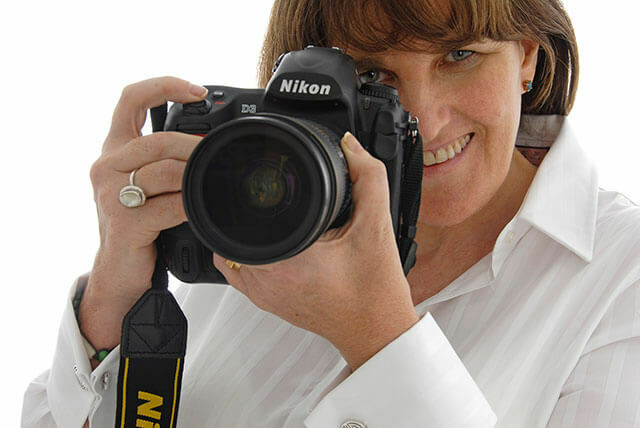 Photography is Michelle′s passion – not just her career. Her work has appeared in books, newspapers, advertising campaigns, online publications, brochures, billboards and numerous international travel and lifestyle magazines. Capturing the essence of a luxury hotel requires specialist experience in many areas of photography – architectural angles, night photography, lifestyle imagery, working with models, environmental portraits of staff, food photography, lighting for interior and exterior shots and capturing that special light in the early morning and late afternoon. The Hotel Essence Photography team includes lighting specialists, food specialists, art directors, stylists and even journalists, all with a wealth of experience in photographic assignments and comissions. Michelle′s impressive experience in this niche market – and that of the team behind her – places Hotel Essence Photography in a unique position to manage luxury hotel projects around the globe. To view a selection of hotel imagery please visit the Hotels page. http://www.hotelessencephotography.com/blog/keynote-on-historic-hotel-photography-in-america/ Historic Hotels of America Annual Conference Omni Homestead Resort, Hot Springs Virginia 2017. 2015 Approved Photographer for Historic Hotels of America and Historic Hotels worldwide. Michelle Chaplow is now an approved photographer for Historic hotels of America. Founded in 1989 by the National Trust for Historic Preservation, Historic Hotels of America identifies quality hotels that have faithfully maintained their historic status, authenticity, sense of place, and architectural integrity in the United States. She is also an approved photographer for Historic Hotels World Wide Historic Hotels Worldwide™ this prestigious organization is dedicated to promoting heritage and cultural travel to prestigious historic treasures worldwide. Michelle Chaplow delivered her speech to an audience of 350 hotel owners and managers at the PHG Global Conference which took place in Pebble Beach, California, on 3-7 November 2014. Other keynote speakers included Arianna Huffington of the Huffington Post and Terry Jones, founder and former CEO of Travelocity.com, Chairman of Kayak.com, and CIO of Sabre. Keynote title “Photography essentials for the digital marketplace”. “Your presentation in New Delhi, India, at the Preferred Hotel Group Annual Conference was one of our all-time favorites, and we would love to see if your travel schedule would perhaps accommodate another speaking engagement for the Historic Hotels of America Annual Conference, September 30-October 2, 2014, at The Hotel Hershey in Hershey, Pennsylvania, USA.” Cindy L. Taylor Vice President, Corporate Projects, Preferred Hotel Group. Read more. Michelle Chaplow was presented with the 7th Annual Photography Masters Cup a Merit of Excellence in the category of Architecture, an Honorable Mention in Fine art and 5 nominations in Advertising, Architecture, Fine Art and Silhouette at a prestigious Nomination & Winners Photoshow webcast on Saturday, May 3, 2014. 2013 Merit of Excellence for Architectural photography at the International Colour Awards, Photography Masters Cup. This is the leading international award honoring excellence in color photography. Michelle received her Merit of Excellence award in the Professional Architecture section for the image “Bathtub at Dawn” The photograph was shot on location at the Dolder Grand hotel A five star hotel in Zurich, designed by world famous architects Forster+Partners. Michelle, in the same competition, also received an honorable mention for her work entitled “Hannah”. 2012 Official photographer for the Spanish Paradors. In 2012 Michelle signed a three-year contract to be an official hotel photographer for the Spanish Parador hotels. Paradores de Turismo de España is a chain of Spanish luxury hotels, founded by King Alfonso XIII of Spain in 1928. These unique hotels, created to encourage tourism, are often in castles, palaces, fortresses, convents, monasteries and other historic buildings. Michelle Chaplow gave a keynote speech of the importance of photography in the Luxury hotel sector at the Preferred Hotels Group Annual Conference in New Delhi, India. 2012 Nominated in seven categories in the Black & White Spider Awards. This course was organised by the Center for Contemporary arts in Malaga – CAC Málaga and the Fundaci´n Valentín de Madariaga in Seville. “The Pool of Life” was Michelleprime;s final project for the course, her work was projected to an audience at the Contempoary Art museum in July 2012. David Clarke Head of photography at the Tate in London wrote: “A beautiful exhibition, which really captures the essence of Spain”. In 2001 Michelle was awarded an honorary mention in the Ortiz Echagüe Prize from the Spanish Ministry of Tourism and Commerce. The honorary mention related to her work in the field of promoting Spanish Tourism. (BOE Reference 031 5/02/2001 Sec 3 page 4336). Michelle had the honour of being presented to HRH King Juan Carlos and Queen Sofia of Spain at the Zarzuela Palace in Madrid at the end of her photographic assignment for the Washington Library of Congress. In 1995 Michelle was awarded the prestigious State Photography Contract by Turespaña to document the coastline from Alicante to Huelva.